An unusual camellia with semi-double, white flowers, flushed and striped rose-pink, and distinctive, almost holly-like, dark green leaves. 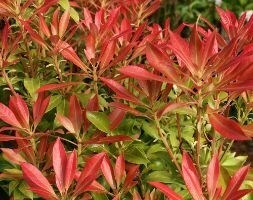 This upright, evergreen shrub is perfect for growing in a large, well-drained pot. 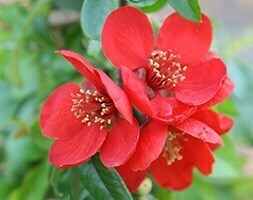 Since it's less vigorous than other varieties of camellia it's easy to keep small and neat. 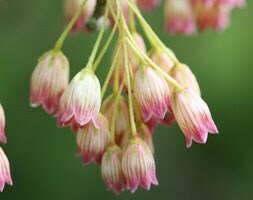 Garden care: To prevent damage to the emerging buds and flowers protect from cold, dry winds and early morning sun. 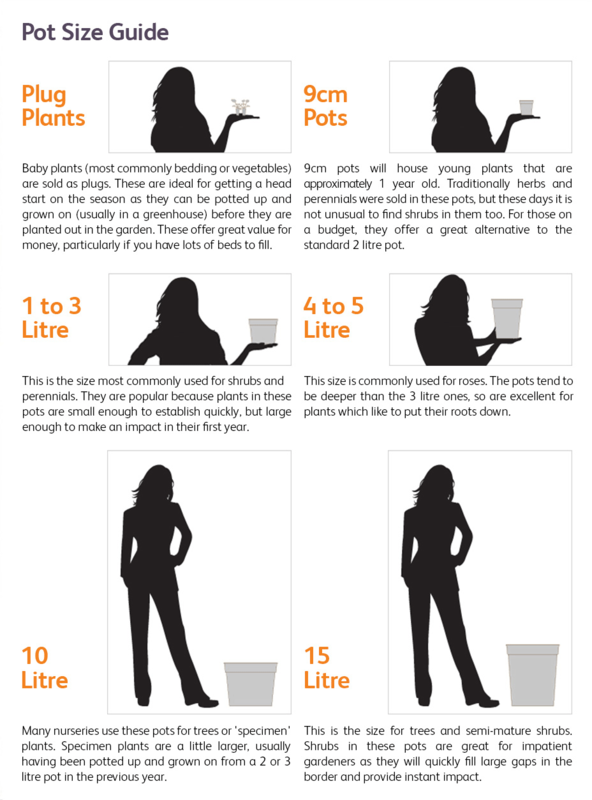 Water established plants in dry weather to prevent bud drop. 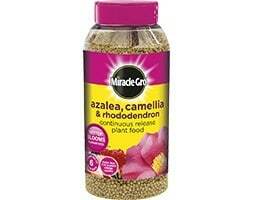 Apply a balanced liquid fertiliser in mid-spring and again in June. Top-dress annually with shredded bark or well-rotted leaf mould. 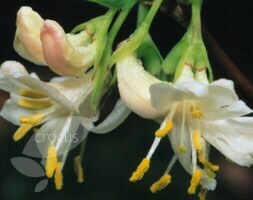 After flowering lightly trim or prune any branches that spoil the appearance of the plant. Protect container-grown specimens in winter by wrapping with bubble wrap or hessian.